Google Play Store to hit BlackBerry 10.2 devices? Update: BlackBerry has officially denied any link between the BlackBerry 10.2 software update and the inclusion of Google's Play store. A statement from the Canadian firm reads: "We can confirm that there is no planned support for Google Play on BlackBerry. "BlackBerry World remains the primary source for trusted and curated BlackBerry applications and we continue to support open standards and open source tools so BlackBerry developers can continue to create apps on any of the development platforms we support." Could we finally be able to see BlackBerry devices making use of the Jelly Bean Android runtime? Leaked screenshots taken from a rather grubby looking BlackBerry Z10, found on Crackberry, suggest that we could finally see the Google Play Store on BlackBerry 10.2. 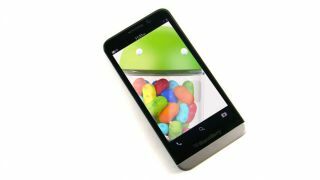 We always have to err on the side of caution here and point out that we could well be looking at some heavily Photoshopped images, but we already know that BlackBerry will support Android Jelly Bean. If this is true, this could prove a massive boost to the BlackBerry 10 OS, making it a more attractive option to consumers. Could these screen shots prove we're about to see the Google Play Store on BB10.2? Jelly Bean to make BlackBerrys more app-etising? It would open up a whole new world of apps, something that BlackBerry devices tend to suffer in comparison to both Android and iOS devices. We should note that the screen shots aren't of the most recent update to the Play Store that we've encountered, nor does it support Music. This could be remedied in a final release version, if or whenever that hits. With BlackBerry struggling at the moment, we would really hope that it makes its way over to BB devices soon. It might be just what the Canadian doctor ordered.